A police officer has been apprehended for shooting dead a former Member of County Assembly (MCA) aspirant in Limuru town over a beer. 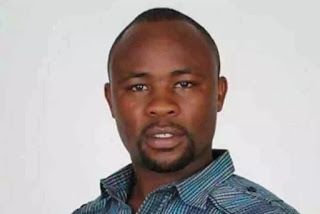 Edward Manjalu who is attached to the Directorate of Criminal Investigation (DCI) reportedly gunned down William Mwangi after an argument ensued over a bottle of beer. According to witnesses, the politician was in the company of his friends when the police officer demanded for a bottle of beer from them. “It all started when the gentleman demanded to drink a bottle of beer but we asked him to pay for it. He asked us if we knew who he was and told him Kenya is a free country guarded by law. We didn’t know he was an officer,” an unidentified person said. The deceased and the officer are said to have had a confrontation before getting involved in a fist fight forcing bouncers to intervene and kick the police officer out. The police officer is then said to have waited for Mwangi outside the bar and shot him at a close range as he entered his vehicle. Limuru DCI boss Mwenda Itheiba has since confirmed the arrest adding that the officer is now in police custody awaiting investigations. The body of the deceased was taken to Uplands Funeral home where postmortem will be performed.